Giggle (the game engine I’ve been building over the past year) has made the leap to HTML5 thanks to the excellent Emscripten compiler. This means that all of the games I’ve written for Giggle so far can now be “ported to the web” so that they can run inside any reasonably modern desktop browser. Today, “reasonably modern desktop browser” translates into an updated-in-the-last year Chrome or Firefox or (without sound) Safari 7. The big new feature we need to make this work is WebGL. 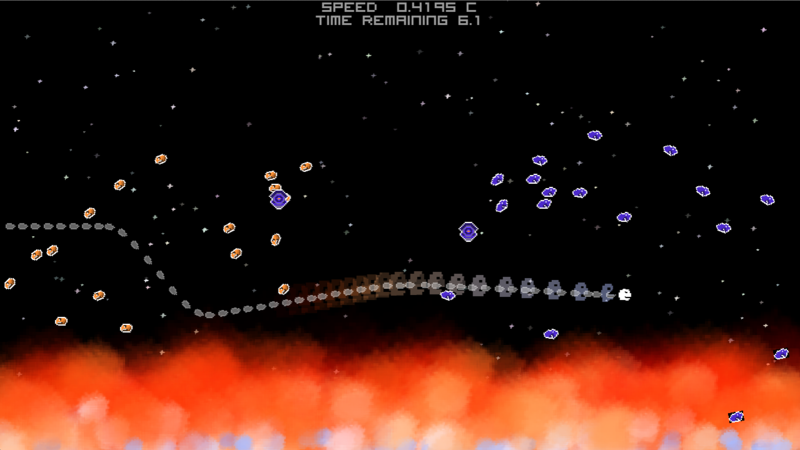 The first game I’ve ported is my Ludum Dare #27 entry “Life of a Photon”. You can play it in your modern browser or you can download the desktop (Mac/Windows/Linux) version. Or, you could just watch me play it! I haven’t mastered the art of screencasting yet so time feels a little lurchy in this recording. Try improving this news: WSJ: Green Cars Have a Dirty Little Secret. Who knew that the green cats were up to so much trouble? Are you as annoyed as I am when you have to create the 7 (assuming you use Spotlight and Settings) different icon sizes that Apple requires iOS apps to provide? This post should be a real time-saver if you created your original icon in Photoshop. One neat thing about implementing this auto-resize functionality as a Photoshop script (instead of a bash script using imagemagick and friends) is that the resize can take advantage of vector information (shapes, paths, layer effects) to provide a higher quality result than simple pixel downsampling can provide. Download and save my save-for-ios Photoshop script. Open your original high-res icon. If you created your icon primarily out of shapes, paths, and layer effects then this technique will really shine! From the Photoshop File menu select Scripts and then Browse. Select my save-for-ios.jsx script that you downloaded in step 1. Select the output directory for your resized results. Select the prefix for your resized results. The final resized files will be named prefix29.png, prefix29@2x.png, etc. Here we’ve defined an enumeration and their stringified names so that we can pretty-print them. But, this means we have two lists that must have the same number and order of elements or there is a bug. These are parallel lists and they can be tricky to maintain. We defined a macro named “ANIMAL_LIST” that takes another macro as an argument. The macro then calls that macro with each of the elements of the list. Thus, ANIMAL_LIST is a “higher order macro” because its behavior is partially determined by the macro it accepts as an argument. We then define our enum and within the curly braces we expand the ANIMAL_LIST higher order macro using a macro that just emits each of the elements of the list directly. We then define our stringification array and within those curly braces we expand ANIMAL_LIST using a macro that emits the stringified version of each list element. For a far more ambitious use of this higher-order macro concept, check out the BrianScheme Virtual Machine. Here, the opcode_table is a higher order macro that is expanded 7 times to produce opcode to string mappings, symbols for each of the opcodes, pointer to opcode mappings, and more. 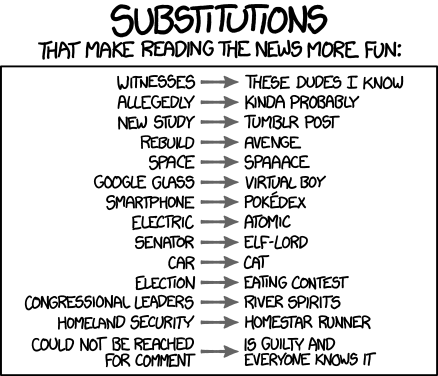 That’s a lot of parallel lists that must be kept consistent! The original mac release had a packaging bug that meant it would only work on Mountain Lion. This release should work on any version of OSX version 10.5 or newer. Please leave a comment if you have trouble. Thanks! We’ve released a demo of Mosaic for the Mac! Mosaic puzzle game created by Stephen Mitchell and me for game making contest promoting the upcoming Ouya game console. Grab the mac demo at let me know what you think. If you like what you see then remember to thumbs up our contest video so the OUYA Create judges can count your vote. If you’re one of the few folks lucky enough to own an Ouya, you can download the Ouya version too!. I finished my second Game Jam and my very first team game project! 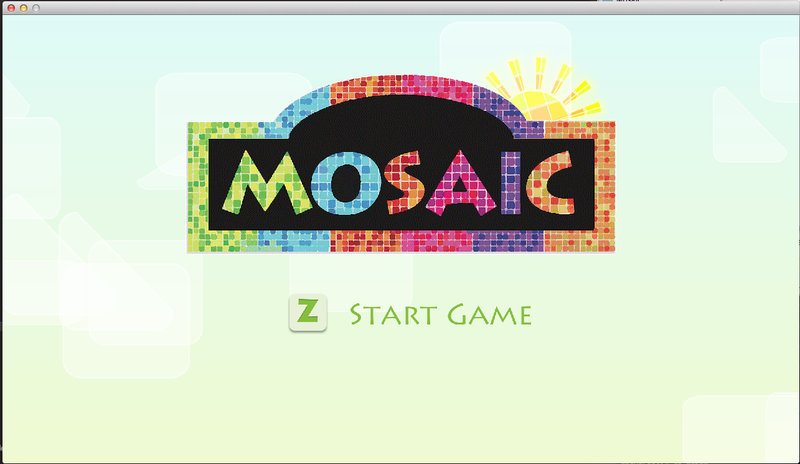 We’re calling this game “Mosaic.” It is designed for the upcoming Ouya game console. If you like what you see and can spare some social love then thumbs up our video and +1 our page. You see, this jam is also a bit of a popularity contest. Stephen Mitchell took on most of the art and design responsibilities for this project. The simple and clean aesthetic he brings really made Mosaic shine. If you’re one of the few lucky people in the world who own an Ouya (I’m loving mine) then you can download the APK. We would love to hear what you think. I really get a lot out of game jams. Sometimes the deadline they impose is essential for forcing me to focus on the things that matter most in my game. @McFunkypants really helped me understand how to harness the power of a deadline in his book The Game Jam Survival Guide. I highly recommend this book for anyone considering participating in a game jam or who has participated but would like to do better next time. One of the big challenges that I encountered during the port was asset loading. Android packages, which are delivered as .apk files, typically load assets at run-time by reaching back into the .apk file. The Android provided API for accomplishing asset loading in Java is appropriate but the Android NDK C API has some shortcomings. Why would I say that when the Java API and the C API are almost identical? C applications that handle streams of data from files are typically designed around the file pointer abstraction (FILE*) and the Android API isn’t compatible. This means, typically, that you would need to alter the code of any third-party libraries that you are using (if they deal with files) in order to port them the Android asset API… until now! All of these libraries, except Box2D, provide features that already exist behind some other Android API. The reason I explicitly provide these features again through my own libraries is for portability. I do my quick-turnaround build testing on my Mac but I want the same code to work exactly the same way on the Ouya. The simplest way to achieve this is to provide a lot of my own low-level support. The more “pure” way to achieve this would be to create an abstraction layer that used the Android APIs and the OSX APIs under the hood. libogg, Lua, and stb_image all use the FILE* API to load files from disk. They call fopen when they want to open a new file and fread to extract data from it. They also occasionally use fseek to jump around. One amazing and well-hidden fact about the FILE* API is that it is actually polymorphic and extensible! (A surprise from C, right?) We can create a FILE* that uses code we wrote to satisfy fopen, fread, fseek, and fwrite requests. We can use this little-known feature to wrap the Android asset API in a FILE* API instead. The funopen function creates a new file pointer that will delegate control to the functions that you specify when the user uses fread and friends on that file pointer. The first parameter to funopen is the “cookie” to associate with the FILE*. This is arbitrary data that will be given to your delegate functions whenever they are called. OOP programmers should think of it as the self (or this) pointer. Now we can use the FILE* API to access our assets! This is great but we still have to call android_fopen to create our special FILE*. If we stopped hacking here then we would still need to open up all those third party libraries to change the fopen calls to android fopen instead. We can do better. Now we just include this header in our code and we can use fopen as normal! But, again, we’re still adding code to those third party libraries. Thankfully, gcc has the answer. gcc -o foo foo.c -include "android_fopen.h"
The -include argument causes gcc to treat your code as-if you had included the provided file at the very top of your code. Now, to port Lua and libogg and any other big-fancy library that uses FILE* to Android, all we need to do is tweak the build system to include our magic header. The full source is here and here. I am now the proud owner of Civilization 4 (for Mac) and I’m really happy to see all of the modding potential that this game has. Now, start a new game of Civilization IV (or load an existing one) and press Shift + ~ in game to bring up the Python Console. If you have the Beyond the Sword expansion then follow the same instructions given above but find the CivilizationIV.ini file in your “~/Documents/Civilization IV Beyond the Sword/” directory instead. Mass convert a folder of Photoshop Files (psd) into png files! Copy this script into a file named convert2png.jsx and run it from Photoshop (File | Scripts | Browse…). Select the files you want to convert and click open. PNG files with the same name will be created and placed in the same directory as the source files. Spriter is an exciting tool for building game animations being developed by BrashMonkey. Like many other interesting little-guy innovations of our time, Spriter started its life on KickStarter. Spriter produces a simple format called SCML that’s designed to be consumed by third-party game engines. Since I’m a proud sponsor and future user of Spriter I wrote a SCML parser / playback tool as part of a Scheme game engine I’m working on. The SCML code is nicely abstracted from the rest of my engine so it should be very easy to port to other LISPy languages if anyone is interested. All of the SCML related code is in the spriter.scm file. The only dependency on the rest my code has to do with turning raw XML into an equally raw (but far nicer) tree of s-expressions. This implements the final (post beta) SCML spec. Interestingly, this may actually be the FIRST implementation of the post-beta spec. I haven’t found any others yet. This returns a list of tkey objects which contain the interpolated rotations, positions, and centers for all of the sprite fragments presented in the order they should be drawn. Here is an example of those tkey objects being rendered using my engine. Hopefully this saves someone some time!